Mathieu Beauregard, our Pro Post Foundations distributor and installer for the Monteregie region, offers well adapted and quality services. Mathieu Beauregard first learned about screw piles when he had some installed on his own home. Less expensive than traditional foundations, quickly installed and impervious to ground movements due to frost and thaw cycles, the product’s various advantages piqued Mathieu’s curiosity. Conquered by this relatively unknown foundation solution, Mathieu soon decided to find out more about the product and the industry as well as how businesses in this sector operated. Do you know what? Mathieu’s finally chose to deal with Pro Post Foundations! “I could imagine working with these people since I liked the way they worked and how the functioned”, says Mathieu. 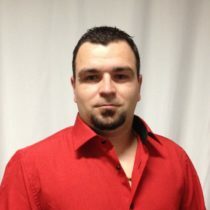 He has been a Pro Post Foundations screw pile distributor and installer for the Monteregie region since 2011. What sets Pro Post Foundations products apart from the competition? Mathieu will tell you that it’s the quality of the products, since they can be said to be resistant, performant, sturdy, stable, and can be used in any number of ways. Mathieu also really appreciates Pro Post Foundations’ efforts to constantly improve the quality of its products in order to better serve its client base. Brought up on a dairy farm, Mathieu worked in the construction industry for 8 years before deciding to establish his own landscaping business which he operated for 2 consecutive years before becoming a Post Foundations distributor and installer.